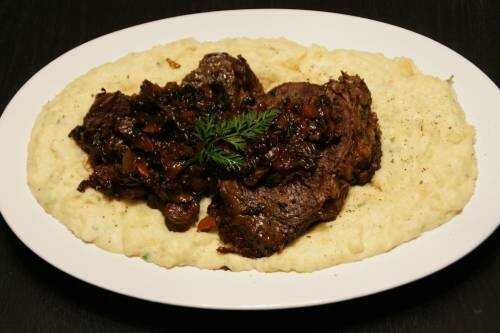 With the recent summer storms rolling through, try this delicious slow cooker short ribs recipe. 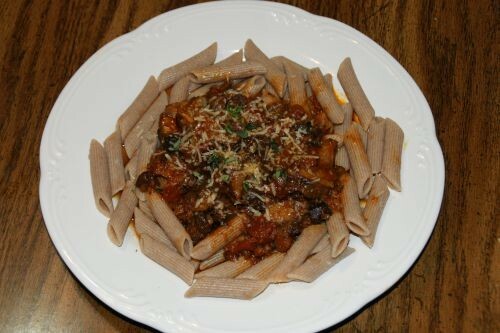 This flavor packed Bolognese is a warm treat on a rainy day! Try this unique recipe to spice up your Nourished by Nature free-range eggs. 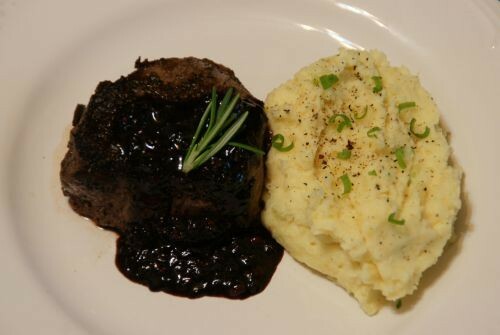 Here is an easy recipe for a high-end steak that will be sure to please your family or guests. You can make this meal quickly in about 30 minutes. This is a simple recipe that will offer an exquisite eating experience for any occasion. 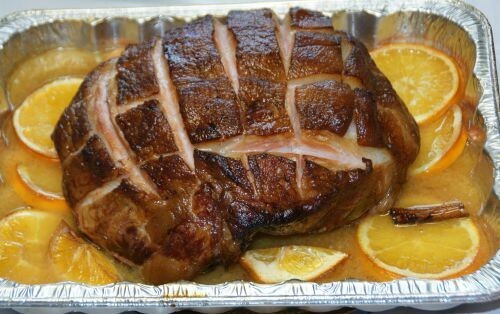 The ham is braised in a sweet liquid on top of a bed of citrus that is sure to keep moist from start to finish. This egg bake is one of our family's favorite meals. 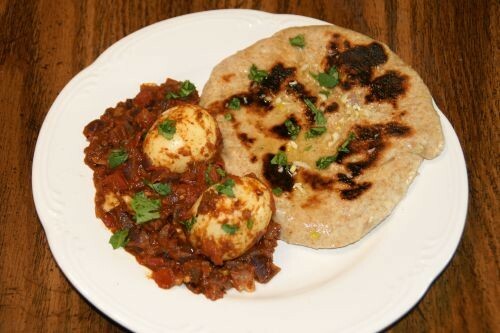 It is quick, easy and serves a family of 6. To prepare steak, sprinkle steak with 1/2 teaspoon pepper and 1/4 teaspoon salt. Heat oil in a Dutch oven over medium-high heat. Add steak; cook 5 minutes on each side or until browned. Remove steak from pan; set aside. Add 1 1/2 cups onion, chopped carrot, 2 tablespoons broth, and brown sugar. Cover, reduce heat to medium, and cook 10 minutes. Stir in rosemary, mushrooms, and garlic. Cover and cook 2 minutes. Add bay leaves, stout, remaining broth, and steak; bring to a boil. Cover, reduce heat, and simmer 1 hour and 30 minutes or until steak is tender. To prepare potatoes, place potatoes in a large saucepan; cover with water. Bring to a boil; simmer 20 minutes or until potatoes are tender; drain. Return potatoes to pan. Add butter; beat with a mixer at medium speed just until smooth. Stir in remaining ingredients. Keep warm. Remove steak from pan; keep warm. Discard bay leaves. Increase heat to medium-high; cook 5 minutes or until slightly thickened. Spoon stout mixture over steak. Serve with potatoes. This is a simple recipe and a great way to cook boneless chops. This recipe combines a flavorful cut of meat with many delicious garden veggies that makes for a great family meal. We would like to welcome you to our new site. We hope that you find it easy to navigate and enjoy the information shared on here. It is the season for big bowls of warm, hearty soups and stews. Here is a recipe for a delicious lamb stew full of nourishing ingredients to help you welcome in autumn. There is a misconception that grass-fed beef is always lean, tough, dry meat, but this is not entirely true. There are many factors that go into the tenderness of the meat. If the beef is raised to be lean the meat will be tougher. When raising our 100% grass-fed beef we strive to get as much fat on them as we can. Why is this? Besides the fat making the meat more tender and juicy, unlike the fat on grain-fed beef the fat on 100% grass finished beef is full of healthy omega 3 fatty acid and other nutrients that our bodies need. (For more on the health benefits of grass-fed beef click here). But in spite of our efforts to make our grass-fed beef less on the lean side and more on the fatty side it will never have as much fat as conventionally raised grain-fed beef which is why you must follow a few simple rules when cooking grass-fed beef.